This complete LEFT handed saddle set includes six original Fender® (003-6528-000) polished chrome saddles for the American Deluxe series Strat's®, genuine Fender® nickel plated intonation springs (2 short and 4 long), 6 of our stainless steel Phillips round head intonation screws and our stainless steel #4-40 saddle height adjustment set screws (four 1/4" length and eight 5/16" length). Bulk packaged. 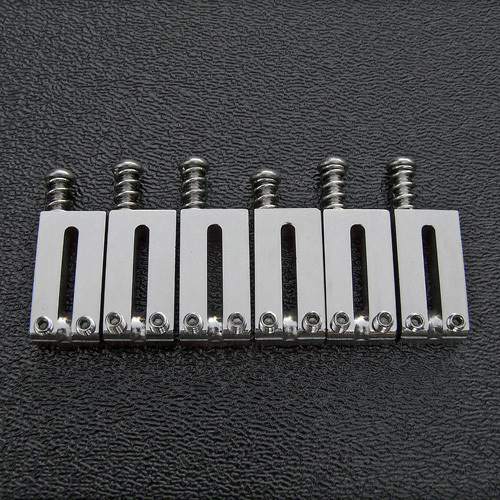 Each saddle has the offset intonation adjustment screw.